Eight candidates, including six incumbents, are running for seven seats on the Dukes County Commission this year. In advance of the election, the Gazette emailed questions to all the candidates asking them to address the role of the commission and what they hope to accomplish if elected. The county commission is the legislative branch of the Dukes County government. Commissioners — who serve without compensation — are elected for two-year terms. Not more than two members of the commission may come from any one Island town. Their responsibilities include overseeing the county budget, appointing members to the Martha’s Vineyard Airport Commission and appointing the Island’s representative on the Steamship Authority board of governors. I owned Alley’s General Store with my brother and sister for 20 years, was a West Tisbury selectmen, finance committee member and airport commissioner. I am the current chairman of the Dukes County Commission and an incumbent who has served for 36 years. County government should maintain services to citizens of the county courthouse, beaches and supporting social programs. If elected, I would like to maintain a balanced budget and supporting social programs that benefit residents of the county. I’ve served for three terms on the Dukes County Commission and have over 30 years of combined experience in state and city government, as well as the corporate sector. My other volunteer and civic engagement includes being a member of the West Tisbury personnel committee, vice chairman of the Massachusetts Democratic Party and a lifetime member of the NAACP. I see the main role of the Dukes County Commission as oversight of the county budget, preservation of county property and assets, review and appointment of county representatives to the Airport Commission and health council, and identifying, facilitating and implementing regional initiatives and issues that impact the residents of Dukes County. The commission should play a key role in fostering communication, collaboration and cooperation among the six towns to reach fair and equitable solutions. I would like to ensure that county government is run efficiently, effectively and transparently on behalf county residents. For example, the county should undertake a review of county-sponsored programs to determine if there is duplication with other Island programs. For the past 10 years, I have been agency/owner for Hertz Rent A Car, managing both Martha’s Vineyard and Cape Cod. The experience allows me to appreciate and understand both the needs and the uniqueness of the Islands. I have a reputation for being a skilled consensus builder and a person who gets the job done. County government needs to do two things extremely well: 1. Continue to build confidence with the county advisory board (comprised of town selectmen) that our county government can be an efficient and accountable entity for present and future needs of the towns. If county government can be viewed as a responsible entity to support the towns, then other shared services could occur. 2. Build a better communications process that shares the value of Dukes County to all residents. One way to achieve this would be to improve Dukes County’s social media presence. Another way would be to engage more frequently with the towns officials and business leaders through regular discussions and meetings. If elected, I pledge to improve communications between Dukes County, the county advisory board and most critically the residents that are served by Dukes County. I am a 2018 graduate of the Martha’s Vineyard Public Charter School and have been interested in community service since arriving on the Island in 2011. Last year, I was named the Massachusetts High School Democrats activist of the year. There are many important functions of county government. I would highlight the following three: 1. Directly impacting the welfare of Dukes County residents through the Social Services Department, which is responsible for ensuring our county’s residents can access SNAP benefits and other social programs to help them stay afloat, particularly during the winter. 2. Overseeing the Martha’s Vineyard Airport, which is one of the main transportation options on the Island. 3. Assisting and facilitating other regional services, including the Dukes County Regional Housing Authority, the Youth Task Force and Martha’s Vineyard Community Services. During my term, I would strive first and foremost to make the commission more accountable and transparent to county residents. I would like to put an end to the “it is who you know and not what you know” perception that engulfs the commission. A concrete example of this analysis will be a review of appointment procedures. I have served as a county commissioner for 10 years and was previously on the county advisory board for 10 years. I own a landscaping business and I am active in local government as well as with several nonprofit organizations. County government serves the people of the Vineyard in many ways and is a valuable conduit for a variety of island wide services. From health care to veterans services to emergency management and beach management, its charged tasks fulfill vital functions for our community. I have always held a vision that county government should be a trusted, fiscally responsible entity that is a channel for its citizens and for the local governments of the six island towns and Gosnold; to advocate for and to implement ideas and programs that serve the greater community. This is not an easy path to follow but it is one that I believe in. Making county government more responsive and inclusive and more relevant for all of its inhabitants is my continuing goal for the next two years. I have served on the Dukes County Commission for three terms and am a member of the Dukes County Health Council. I have formerly served on the Martha’s Vineyard Airport Commission and Oak Bluffs zoning board of appeals. 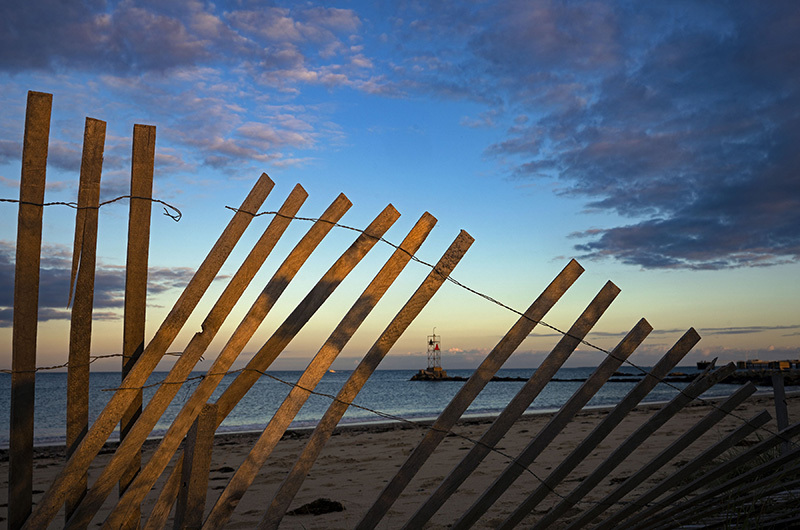 I have lived on Martha’s Vineyard for over 18 years. Many of our Island institutions benefit from collectively approaching needed services that our population both rely on and depend upon for the greater health and well being of our community. The county currently manages affairs concerning veterans services, health care access, homelessness prevention, beach management, social services, emergency management, mosquito surveillance and substance use disorder among other efforts. One of the most important functions of county government is to identify areas of concern that affect all six towns on Martha’s Vineyard and to work with existing agencies to enhance, improve or develop services that contribute to the greater good of our Island and our people. If re-elected I will continue to advocate for improved and expanded social services on our Island with the goal of increased accountability and effectiveness for those services provided. I am in my second term as a Dukes County commissioner and currently vice-chairman of the commission. I am a member of the executive board of the NAACP of Martha’s Vineyard, a member of The Cottagers and allied with the Want To Know discussion group. I am an avid reader, part-time gardener and full-time caregiver for my beloved mother, Mary. Commissioners need to act in the best interests of our constituents. There is a camera at each of our meetings that broadcasts our decisions to the public at large. I consider that camera to be a citizen that needs to understand what decisions are being made. We must be clear, transparent and fair. With new leadership on the airport commission, the airport is moving forward to being able to accommodate the over 300,000 visitors we have each year. This was not my accomplishment but rather by the hard work of many dedicated commissioners in conjunction with skilled airport managers. That one square mile is a very significant part of our island. It is also the commission that works to assure the well-being of our most vulnerable citizens: the homeless, the addicted, the youth, the aging. The courthouse is a place that warrants our attention. We need to update the facility, accommodate the disabled and make it a place that is dignified, as well as efficient, for all those who enter. There is much more work to do. Our team has a balance of yeas and nays. That’s what makes it work. We are willing to hear all concerns and act accordingly. I’ve served as an elected member of the Martha’s Vineyard Commission for four years (two terms). I have a bachelor of arts in psychology from Boston University, a master’s in industrial and labor relations from Cornell University and have been a commissioned officer in the U.S. Navy. I served on the board of Vineyard House. The most important functions of county government are to always be aware of the existing and new challenges facing the people of the Island, particularly health care, social services, housing and the pressures created on our environment, economy and Island character by significant increases of seasonal visitors and long-term residents. I would continue to pay particular attention to appointments to the airport commission and the board of governors of the Steamship Authority to bring people to those boards who have the qualifications and commitment to best serve our people. If elected, I would continue to work to keep politics and parliamentary maneuvering out of decision making and to work with the county manager to respond to social needs in all areas.